Our Team - Steven d. Pendleton, D.D.S., P.A. The best dentist is the one who helps you understand the importance of good oral health. Hello! I am Dr. Daniel Domsch, but please call me Dr. Dan. I grew up in Shawnee, KS and attended Shawnee Mission Northwest High School. I graduated from Kansas State University, earning a B.S. in Business Administration with an emphasis in business management. Following graduation, I attended UMKC School of Dentistry where I graduated in 2016. I am an avid sports fan and enjoy rooting for all of the hometown Kansas City teams, as well as the KSU Wildcats. Having played competitive baseball growing up, I still participate in a men’s league. I also enjoy snow skiing, going to movies, and playing trivia, but mostly I enjoy spending time with my family and friends. My interest in dentistry stems from my own dental problems I had as a child. I developed a great appreciation for the difference a good dentist can make in a person’s life. 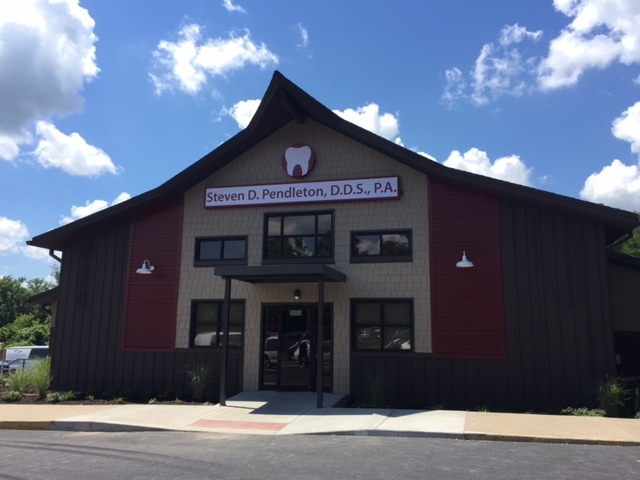 I am excited to be a part of the Pendleton team, providing quality dental care in the comfortable environment Dr. Steve and his staff have created. Welcome, I am Dr. Steven D. Pendleton. Most patients refer to me as “Dr. Steve”. I grew up in the Argentine district of Kansas City, Kansas, where I graduated from J.C. Harmon High school. I received my Associates degree in Biology from Kansas City, Kansas Community College. Always being interested in the medical fields I decided to continue my education in science and attended UMKC where I received my bachelors degree in Biology. With my education well under way I decided to pursue a career in dentistry. I graduated from UMKC Dental School in 1998 with my Doctorate degree in Dental Surgery. Here is a little bit of information about me. I am a pretty laid back guy and enjoy having fun at work. I enjoy treating all patients but especially love my kids! I call them “my kids” because I have seen so many grow up through the years and it is such a treat being able to have a part in their lives. Plus, I am definitely a kid at heart, just ask my wife! I take pride in giving back to the community. Throughout dental school I was involved in many community activities. I have gone on several outreach trips to Venezuela, where they provide Dental care to children in orphanages. I do presentations at schools in the community to teach proper oral hygiene. I have also been involved in many programs that offer free dental screenings throughout the area. I am currently a member of the American Dental Association and Kansas Dental Association. I always bring my energy to the office and try to enjoy myself. I hope that you enjoy your time with us as well. I have many exceptional Doctors working with me, check out their bios, as well as a great staff. I am so proud to have such great people working with me and hope to continue practicing in the field of dentistry in this community for many years to come, thanks to all of you!